Nathaniel and Franklyn Jackson, brothers from Laurinburg, NC are being recognized as Pioneers of Black Tennis. These brothers were ATA National doubles champions in 1931, 1933, 1934,1935, 1936 and 1938. Nathaniel was ATA National Men’s Singles Champion in 1934 and Franklyn was ATA National Men’s Singles Champion in 1935 and 1938. Nathaniel was a frequent player on Dr. Hubert Eaton’s Wilmington, NC home court, where he hit and practiced with world champion Althea Gibson and introduced the game of tennis to Black Tennis Hall of Famer Lendward (Lenny) Simpson. According to some, on one occasion, he beat world champion Fred Perry on this same court in a practice match. Richard Russell is a living legend. Richard is the only Jamaican to qualify and win matches at all Grand Slam Championships. He was the youngest national champion at age 16. He was a founding member of the ATP (Association of Tennis Professionals) and, in 1966, achieved the distinction of holding the record of winning a first round match at the Australian Open 6-0, 6-0, 6-0. He represented the Jamaican Davis Cup and had wins over Arthur Ashe and Charlie Passarel in 1966 and a singles win over Eric VanDillon in the 1970 Davis Cup tie versus the West Indies. He also had a singles win over Dennis Ralston at the Caribe Hilton in San Juan, Puerto Rico. 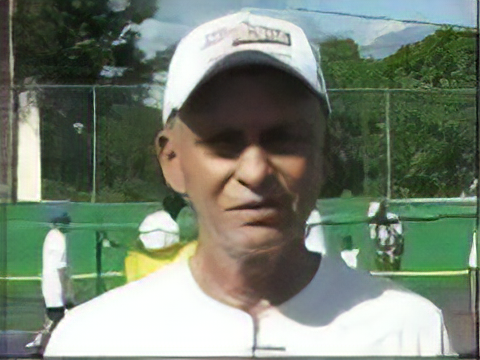 Richard was the director of Tennis at the Half Moon Club in Montego Bay and was responsible for bringing tennis luminaries Ilie Nastase, Bjorn Borg, Jimmy Connors, Pancho Gonzales and Pancho Segura to participate in celebrity events at the Half Moon Club. In 2002-2003 he was the Circuit Chairman to Jamaica, hosting 2,000 plus world class Futures players, their coaches and family members from all over the world by creating and running 22 men’s professional tournaments in a record-breaking series of events which had never been attempted in the Caribbean.Richard is the Chairman/Director of the Russell Tennis Academy at Hillel Academy, Campion College and Campion Deep Dene. 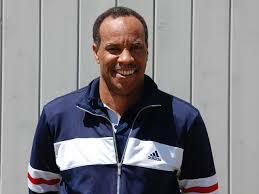 In 2011 he became Chairman of the All Island High School Tennis Championships and Director of Tennis Jamaica. Richard is the father to three sons, all of whom are involved in tennis: Craig Russell is the Project Manager responsible for the family Tennis Court Building Operation. Ryan Russell, a Wimbledon junior semi-finalist and world ranked ATP Pro Player at age 19. He and his brother, Rayne, are the two leading High School teaching professionals. Rayne and Ryan are formers of Jamaica’s Davis Cup Team. Phillip Williamson is an accomplished and respected professional with more than 10 years of experience in every aspect of tennis coaching. He is a success-oriented individual as well as a team-builder. Phil sees challenges as opportunities with a performance record in developing players to reach their potential on the junior collegiate and tour level. A self- motivated leader, adept at facilitating projects in a fast-paced and detail-oriented environment. He is also an effective communicator who relates well to diverse groups of people at all levels within an organization. A native of New York, Phil graduated from Mount Vernon High School in 1983 and Columbia University in 1987 with a Bachelor of Arts in Economics. While at Columbia he became a #1 player. In 1984 he helped Columbia University capture its first Ivy League title in over 12 years and then repeated the feat three years later before graduating. He was ranked 45th in Head Intercollegiate Tennis Standing and Intercollegiate Tennis Association (ITA) rank of #31.Phil played on the ATP Tour from 1987 to 1993 reaching his highest singles level of #294 in August of 1992 and highest doubles level of #133 in August of 1989. He participated in numerous ATP events including the US Open (1985, 1986, 1987-1989, 1991-1993 and 1997), Wimbledon (1989,19920, Australian Open (1992), Newport International Hall of Fame (1992), NYTL/SOBRO Bronx Challenger doubles quarterfinalist and the Shawmut US Pro Championships (Boston 1989) doubles finalist. He also represented Antiqua in Davis Cup and other National events to include the Pan American Games (Argentina -1995 – played #1 singles), Davis Cup (played #1 singles and doubles), El Salvador 1996, Bermuda 1997, Bolivia 1998 and Panama 1999.Occupational service includes positions as Program Director with the Harlem Junior Tennis Program; Director of Tennis, Tennis Club of Riverdale, Director of Tennis Hudson Valley Health and Tennis Club; Head Coach and school advisor for Academy Players, Ross School Tennis Academy; and as a Personal Coach. Phil currently holds life memberships with the United States Tennis Federation (USTA) and the American Tennis Association (ATA). He is also a member of the United States Professional Tennis Association (USPTA) with an Elite Pro rating. He served on the board of the ATA 2000-2002; a New York Delegate for the ATA New York Tennis Association 2000-2002; ran NYTA tournaments at the USTA National Tennis Center 1999-2001; and a member of the Board of Directors of the Jerry Alleyne Memorial Foundation. Benny Sims Jr. a native of Beaumont, Texas, has had over 40 years of tenure in the game of tennis as a player, coach, administrator, mentor and spokesperson. After attending Texas Southern University where he was a two-time All American, and American Tennis Association (ATA) Men’s Singles Champion, he embarked on the professional tour. Sims soon relocated to Boston, Massachusetts where he went on to coach, working with Jim Smith at Sportsmen’s Tennis Club, which reached national acclaim under their direction. 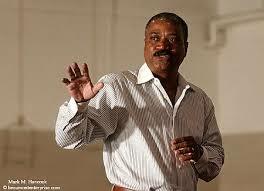 He then moved on to Harvard University, and became the first African American assistant tennis coach in the Ivy League. After his time at Harvard, Sims was appointed head tennis pro at the famed Longwood Cricket Club, and then recruited by the late Arthur Ashe to serve as a National Coach for the USTA Player Development program – Sims was the first African American to hold both of these positions. Sims is perhaps best known for coaching Chanda Rubin, who holds seven WTA Tour singles titles. 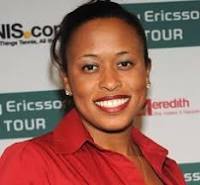 Partnering in 1998, under Sims’ tutelage, Chanda Rubin reached a ranking of #7 in the world on the women’s professional tour. Benny Sims Jr. currently resides in New Jersey with his wife, and has two adult daughters.